One of the many joys of living in Yorkshire is that is occupies such a vast swathe of the country, and contains everything from vibrant cities to coastal towns, moors and dales and everything in between. It's an explorers dream. In my short time living here I've explored so much and yet I don't feel like I've even scratched the surface, and the novelty of being able to drive for 2 hours without even leaving the county boundaries never fails to amaze me. 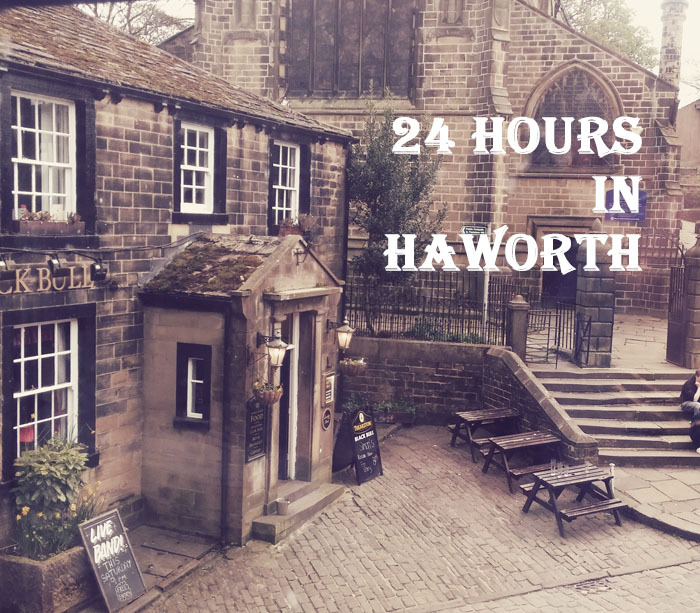 Last weekend I did a little bit more exploration, visiting the small and yet vibrant village of Haworth in Keighley. 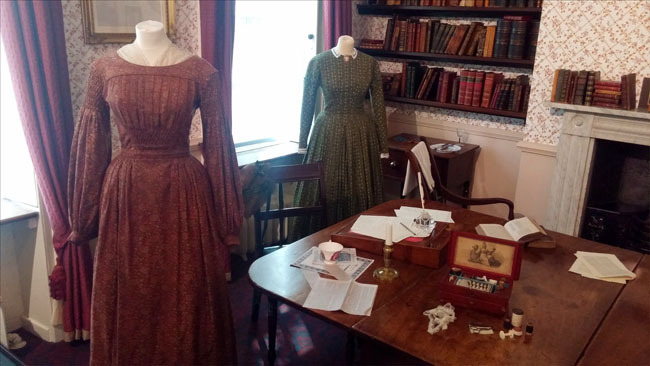 Maybe you've heard of it, maybe you haven't but the chances are that if you know a little about the Bronte sisters, then it's probably a place name that you are familiar with. 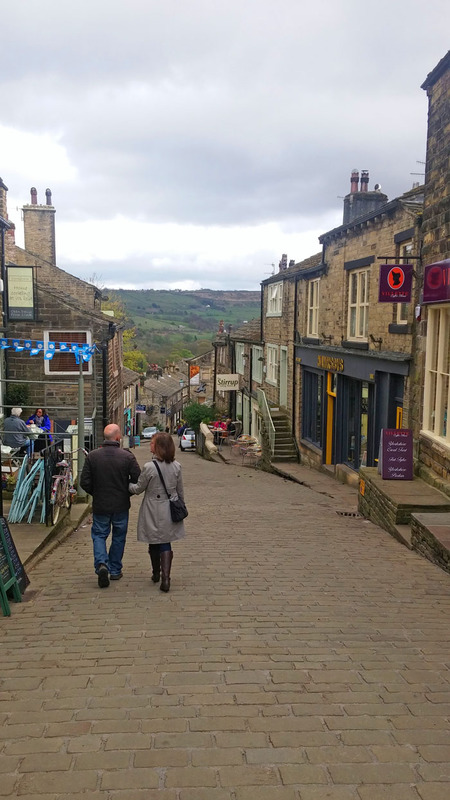 My first impressions of the quaint little West Yorkshire village as I drove up the steep, cobbled main street to the 'Apothecary Guest House' was one of utter surprise. 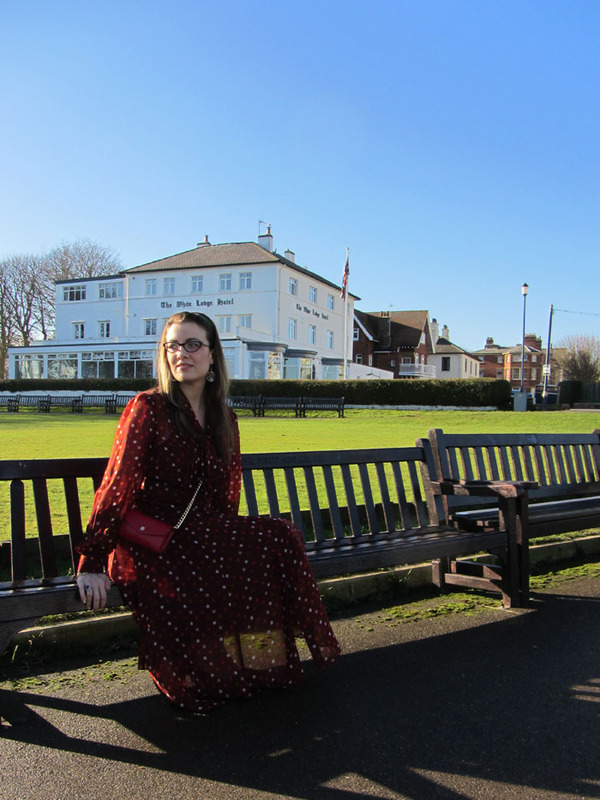 I'm not entirely sure what I was expecting, I mean I know that the village gets busy during the annual 1940s festival, but the vibrant street lined with coffee shops and tea rooms, gift shops and vintage and retro boutiques really exceeded all of my expectations. It was beautiful, and I couldn't wait to park up and find out more. Our guest house was delightful. Warm, cosy and with a perfect view out over the main square, it was the perfect base and as soon as we dropped our bags we ventured out onto the street to peruse shops. 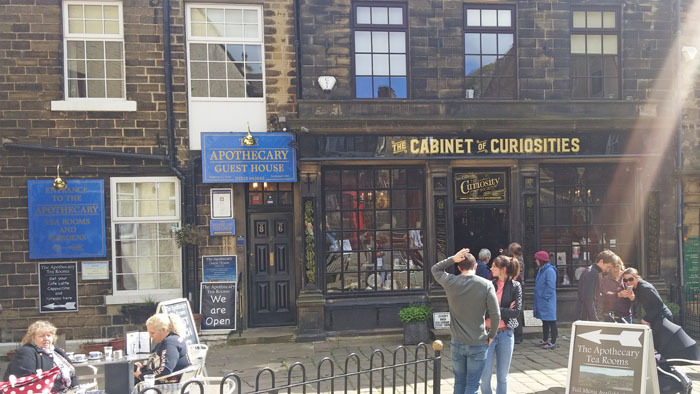 The Cabinet of Curiosities, the former apothecary where Branwell Bronte would buy Laudanum is now the most beautiful shop selling bath salts and soaps and beard paraphernalia. 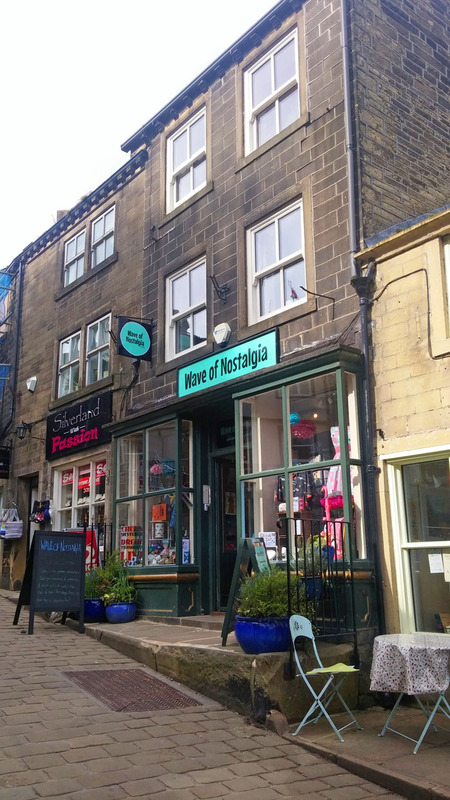 As mentioned before, Haworth hosts an annual 1940s festival, and there is a strong vintage offering in the village. 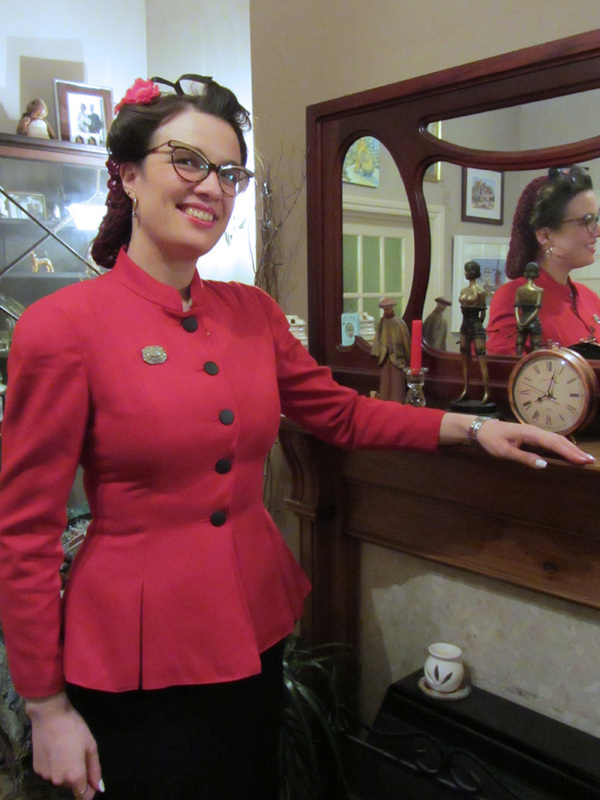 With 2 well stocked vintage emporiums, as well as the wonderfully quirky 'Wave of Nostalgia' boutique where you can order handmade 1950s style dresses from the very retro and extremely friendly owner. 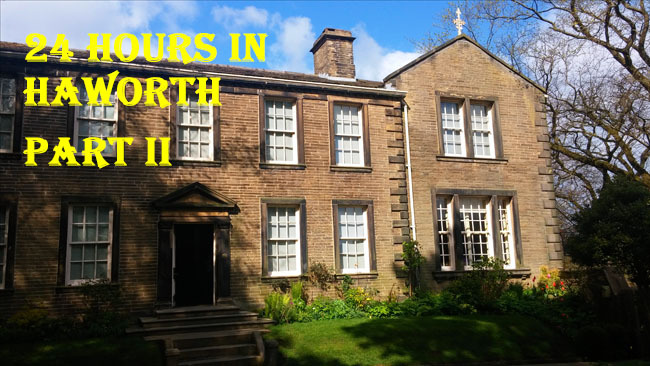 It's worth mentioning that Haworth in general has a very olde worlde, and quite eccentric feel to it. When you are on that main street, it's almost like you are in another world, or at least another century. 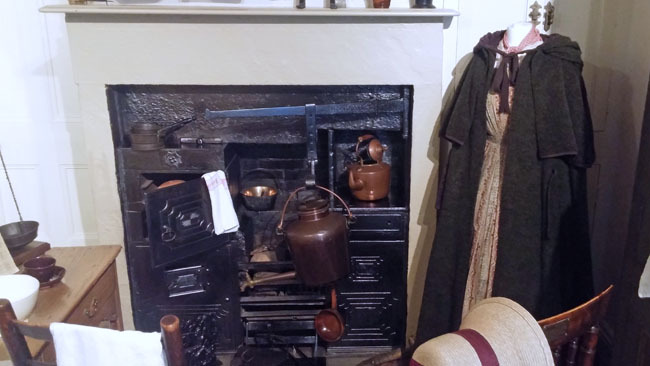 After tea and cake at 'Villette' coffee shop, and a freshen up at the guest house we were back out in the main village square to join the nightly Haworth ghost tour. 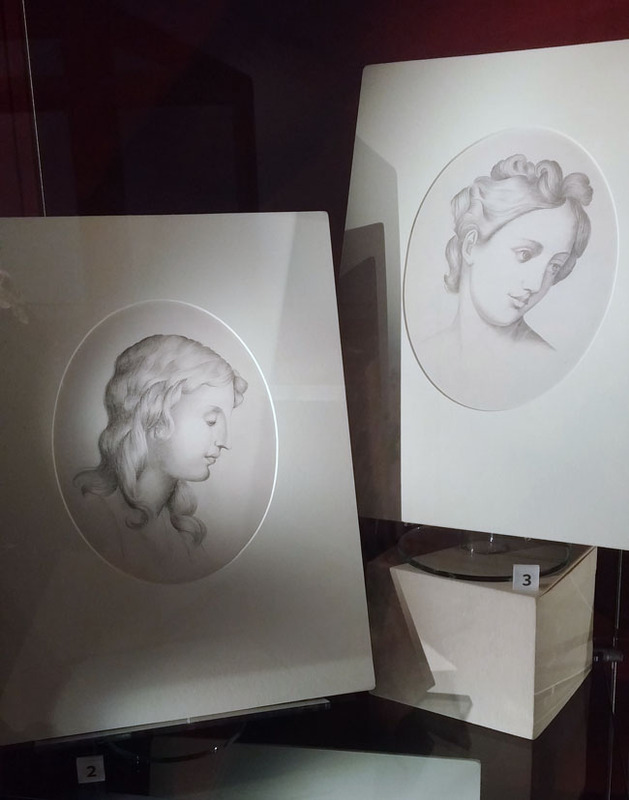 Now, I've been on a fair few of these ghost tours in my time, and find they range from being a completely cringeworthy money making scam, to being something vaguely interesting, a little bit amusing and a necessary part of being a tourist. The one in Haworth, however, I did genuinely enjoy. 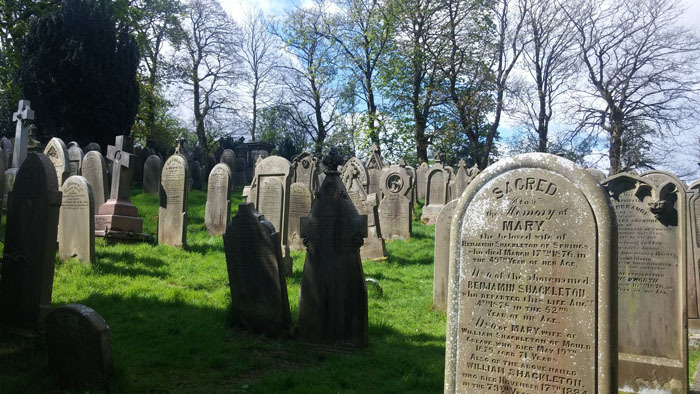 In fairness, I wouldn't have sold it as a ghost tour, per se, but with the tales of disease, hauntings, witchcraft and murder it was more of a macabre history tour. 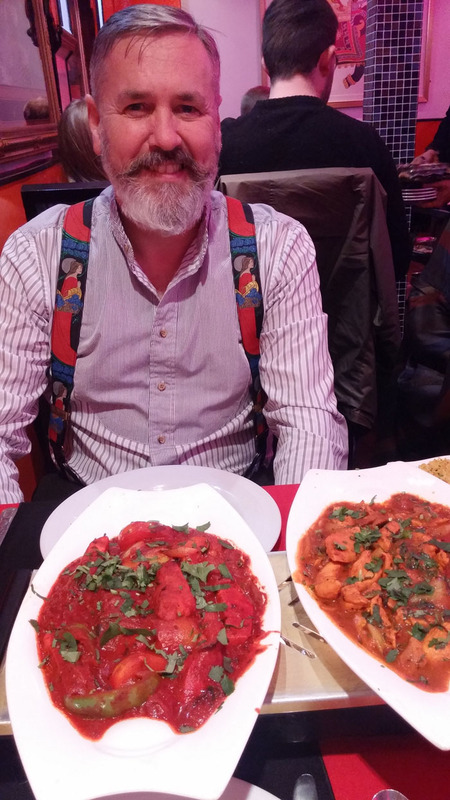 It was fascinating, and at only £8 per person, it was good value too. I did feel a little melancholy afterwards because, what belies this most beautiful village is a history of sadness, poverty and misfortune which bears no resemblance to the modern day Haworth. We finished off the evening by eating the most delicious dinner (I had a beautiful Game pie) at the traditional and comfortable 'White Lion Hotel' before heading the village's weekly karaoke at the welcoming and lively Black Bull, wondering if we would run into the ghost of Branwell Bronte purported to reside there. It was a great afternoon with lots to do, and who would guess that such a small place would have enough to fill 2 blog posts, but you will have to come back later in the week to hear what we got up to on the second half of our trip. 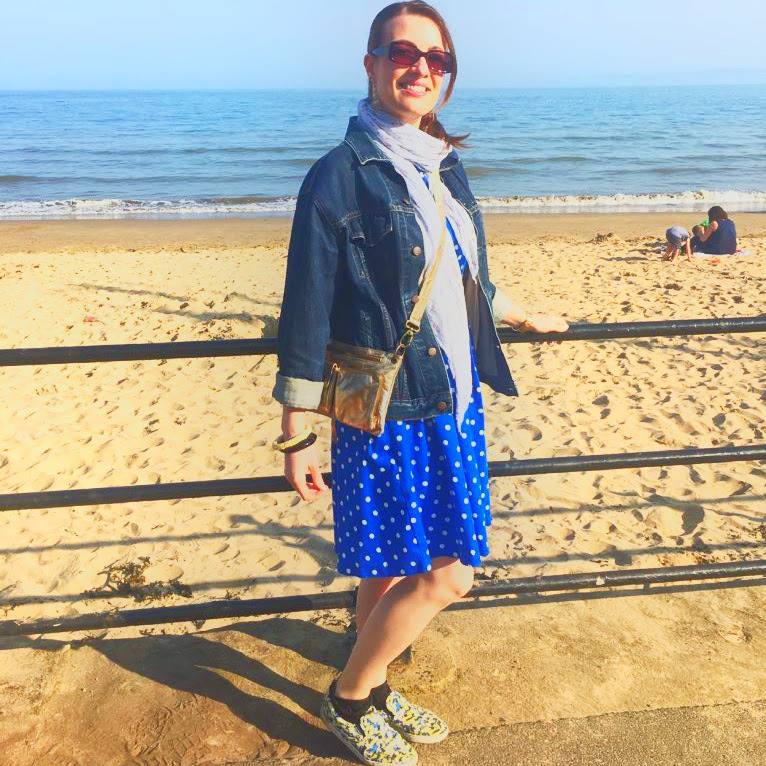 I want to be clear from the outset of this blog post, I don’t believe that anyone should embark on a weightloss programme in order to accommodate society’s norms or expectations. You may be 100% happy with your body at whatever weight it is, but the fact is that, like me at the start of last year, you may not be entirely happy with your body and weight at the moment, and it's fine to admit that too. It might be something that’s found its way into this years goals, or it may just be something you are considering but haven’t totally decided. In June last year, I had seen one too many photos of me that I didn’t like. A bit too much flesh at the top of my arms, a few too many chins, and my size 16 waistbands were starting to feel snug. 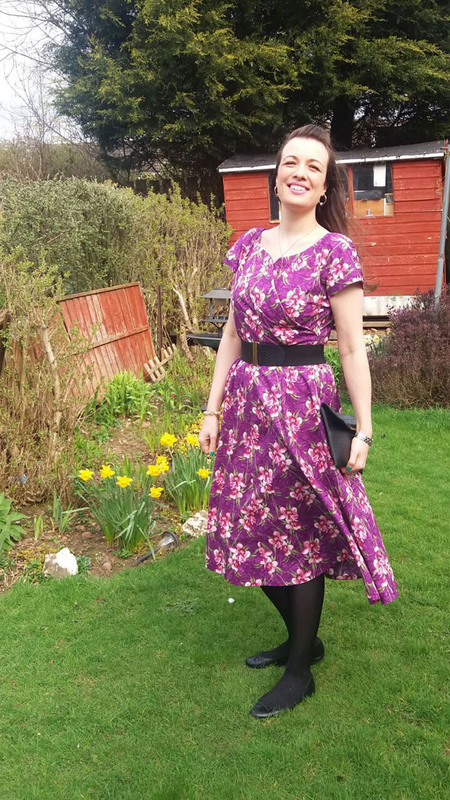 I’d always told myself that at almost 6ft tall, a size 16 wasn’t too big, but when I ventured onto the NHS website and my BMI put me into the overweight category I took action and, between then and now, I’ve lost 19lb, and 2 dress sizes. I haven’t done anything revolutionary, no juice diets, bootcamps or any other means of torture here, I love my food far too much for all that nonsense, but I thought that I’d share my top tips for weight loss with you in case you are about to embark on a similar journey. *Note: I am not a healthcare professional, this is not medical advice and it is usually wise to seek medical advice before losing weight. As soon as you declare that you are going on a diet you will immediately crave ALL of the chocolate, cakes, sugary drinks and crisps that the supermarket has to offer. It’s important to completely change your relationship with food, to educate yourself on calories and nutrition and to understand what you’re putting into your body. This is the only way that you will not only lose weight, but maintain the weightloss once it’s gone. My particular weakness was Haribo jelly sweets, and I would think nothing of polishing off an entire large bag whilst I waited for my train home during the evening. It wasn’t until I paid more attention to the calorie count that I realised that one bag was over 600 calories. That’s the average calorie count of a decent meal really, but it wouldn’t fill me up. Why was I eating it? It was boredom and routine, not hunger since a bag of Haribo isn’t going to fulfil any hunger for any amount of time. It’s difficult at the beginning to understand where all of these excess calories are coming from, but once you do and you start to make educated choices, you will start to see results. 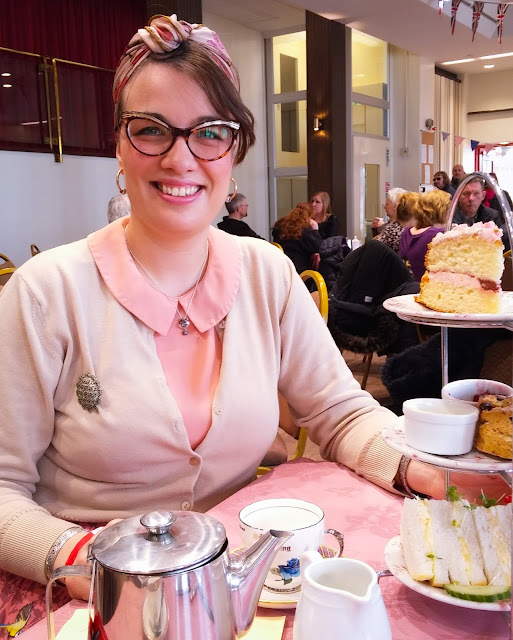 That’s not to say you have to cut out all of the sweet treats or snacks, but there have been days when I’ve been dieting when I’ve eaten a giant piece of cake, but accepted that the calories are akin to half a meal and therefore only eaten a low calorie soup for my evening meal. Yes, I’ve felt hungry, but I’ve enjoyed the cake and consciously made the trade off. I wouldn’t recommend doing that all the time, but on occasion it’s fine. There are hundreds of apps for dieting. Some are free, some you have to pay for. I tried a few before someone recommended ‘My Net Diary’ to me. I loved it, you either get it to calculate your daily calorie intake based on how much you want to lose and by when, or you tell it how many calories you want to live on and it will calculate when you will have reached your target weight by. The database is massive, so you can find most foods in there to log, and it really helped me with my awareness of what I was putting into my body and the nutritional choices I was making. 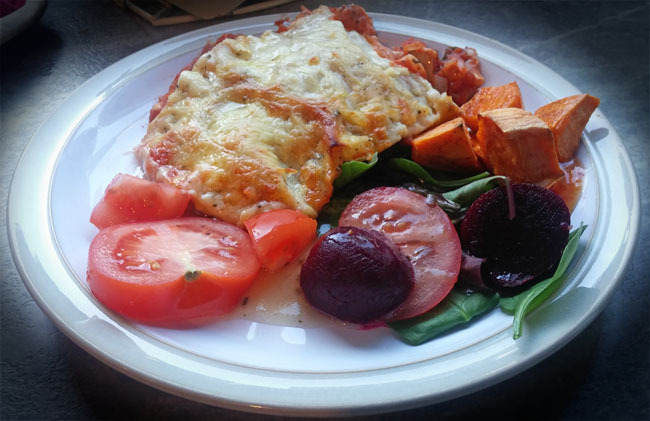 Even if that isn’t the right app for you, you will find one that you like, and once you do you should stick with it, adapting it to your different needs at different stages of your healthy eating programme. Even though I reached my target weight before the work Christmas party, I still use My Net Diary to monitor what I’m eating and maintain the weight I worked hard to achieve. It’s not impossible to lose weight when you’re doing it alone, but the moral support of doing it with a friend or partner shouldn’t be underestimated. When I was losing weight I had the joint benefit of people on my team at work being on diets, but also my husband too. It made food choices much easier since people at work weren’t bringing in junk food to tempt me, and the Mr. wasn’t eating biscuits/crips/junk food either. It definitely helps if you work in tandem. From the outset you need to be realistic about the amount of weight you want to lose in any given timescale, and the amount of calories you can restrict yourself to. Reduce your calories too much and you will trigger a starvation effect in your body whereby it will try to hold on to every morsel that passes your lips. Weight lost in this way is also harder to maintain, as soon as you return to normal eating habits the body will remember the starvation and grab on to every calorie to store for future starvation cycles. It’s a vicious circle of yo-yo dieting that isn’t good for your body or your self esteem. I aimed at losing 1lb per week, which was sufficient to get me to my target, and you can find more information on the internet or from nutrition professionals on how many calories your body should be consuming as a minimum. It’s not the same for everybody, it depends on age, height, activity levels etc etc. About a week into my own weight loss journey, I was astounded to discover the feeling of slight hunger at certain times of the day. Yes, this was my body telling me that it needed some food, but the thing that astounded me was that I had become totally unfamiliar with this feeling. I actually couldn’t remember the last time I had felt hunger at all. That triggered me to question why I had been eating so much, if it wasn’t hunger, i.e. my body telling me it needed food, so it must have been habit/boredom/greed. Whatever it was, it was all of that unnecessary eating that lead me to being overweight in the first place. Some may find that feeling of hunger uncomfortable, but for me it was confirmation that I was doing what my body needed again. Nowadays, before I eat I question why I am eating, is it because my body needs sustenance or is it because of some other reason? This reconnection with self really helps. I feel so much better now, and much happier with the way I look. I'm in maintenance now, and of course I've devoured Easter eggs, drank champagne and eaten too much at the chinese restaurant on various occasions. The trick is, don't beat yourself up. Tomorrow is another day and you can easily get back on the wagon. Have you had some successes at weight loss? Do you have any helpful top tips? I had such a busy weekend, but in a pleasureable way. 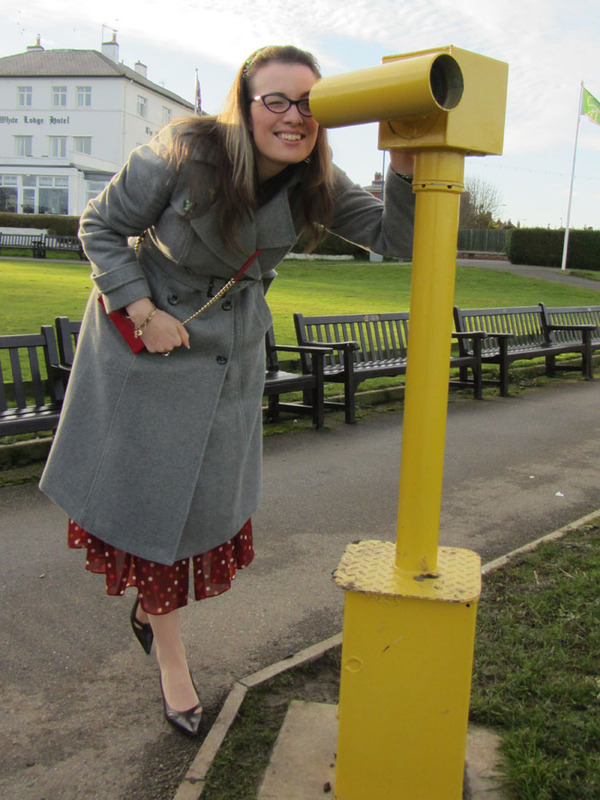 It was unseasonally warm so ice cream and pizza, as well as battling the Easter holiday seaside crowds was a must. I also decided to take stock of my wardrobe. I often get tired of my wardrobe and have a good clearout, but I hadn't really found the time to do that for a while. 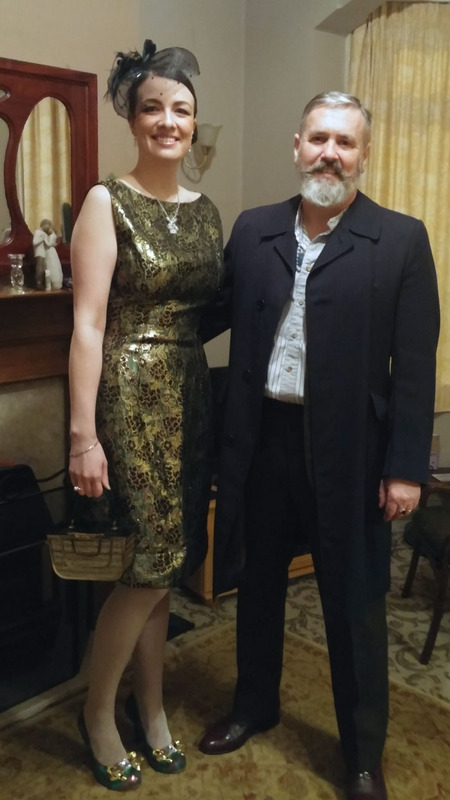 Having lost 19lbs over the past year, a fair bit of what I owned didn't even fit me any longer. 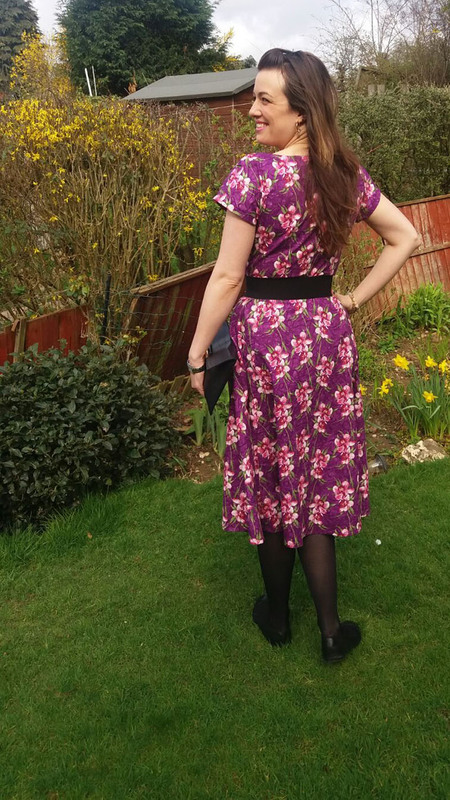 Add to that the fact that I've become a little bit tired of always being in a vintage frock for every single occasion, and what I was left with was a very uninspiring selection. 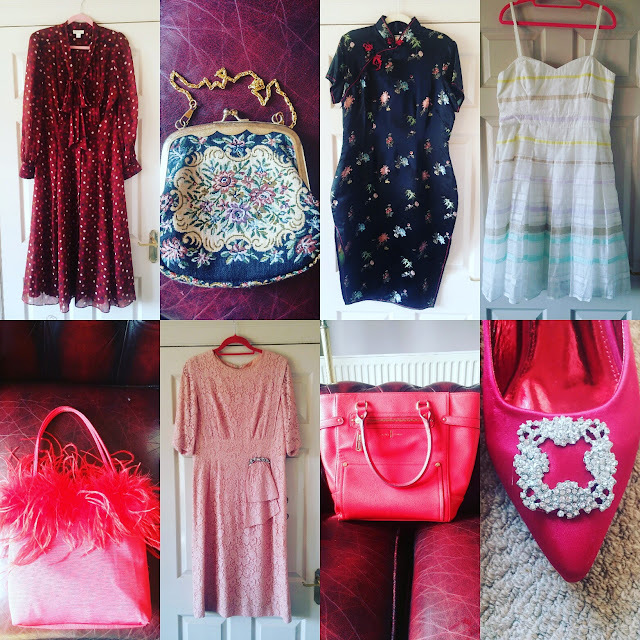 I decided to tackle two birds with one stone, unpacking my spring/summer wardrobe and clearing out in one fell swoop. I ended up, not with 3 piles of clothes, but 4; keep, keep but need altering, sell, charity shop. I've managed to list about half of what I have to sell on eBay, I have 2 dresses I need to alter (which I will hopefully find time to do over the Easter weekend) and a small pile to go off to the charity shop. Funny, for such a hoarder, I felt quite refreshed to be letting go of pretty much everything that's going. Maybe my style is changing a bit, and it's important to move with who you become. I'll always love vintage and dresses, but there's room for a different style in there too. If you want to keep an eye on what I'm selling then head over to my eBay and check it out. That was one hell of a long pause. I mean, it's well over a month. What can I say? There's been a lot of things going on in the interim, things changing, trips to visit the inlaws, wedding anniversary, Mother's day, trips to Whitby/Leeds/York. I mean really, these were all things I should absolutely have been blogging about, yes? I didn't though, c'est la vie. 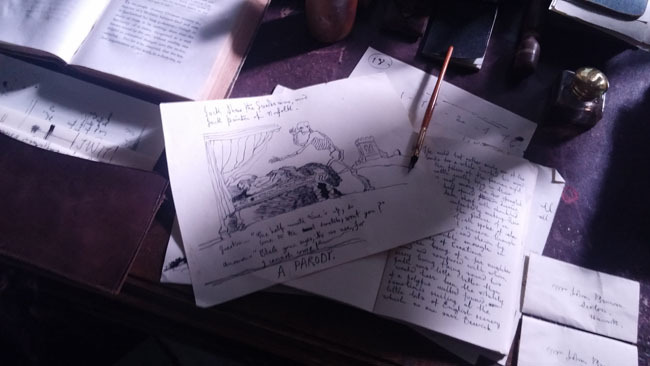 Things have settled back down a bit now though, and whilst I have some fun things planned for summer, mostly I'm back into a normal routine now, which means I should be able to find the time to blog again. Who knows, I might even find the time to read and knit again too. Rock 'n' roll, I know. 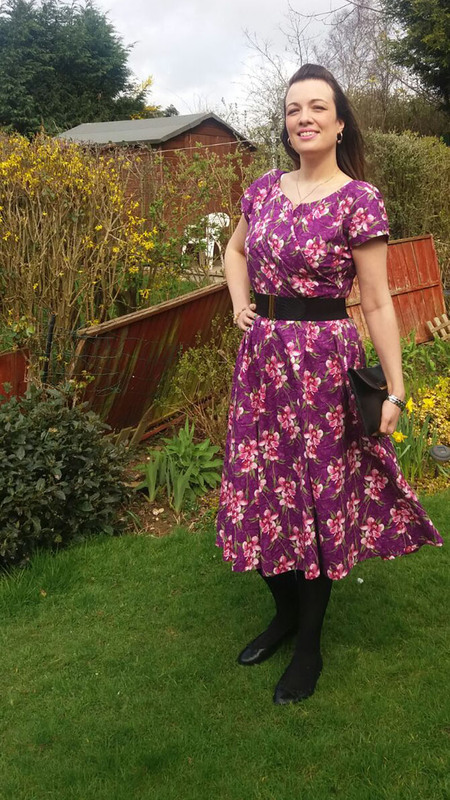 Something I have been finding the time for though is dressmaking. Now that I have my special sewing space, I have more incentive to make clothes. I can just take time out, me and the fabric, and make! I was keen to finish this vintage vogue pattern before going off to spend a weekend with the inlaws, and whilst I finished it by the skin of my teeth, I did finish it. It was an absolute pain in the arse to sew up! 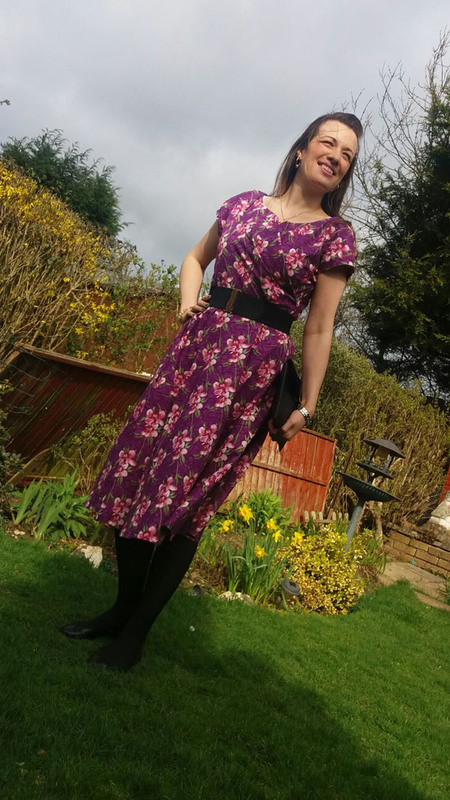 It was the whole underarm gusset thing that drove me to the brink of tears, and whilst I don't think that I will be making any more of these any time soon, I am super pleased with how this one turned out. I love the fabric, it's a good heavy weight cotton with a nice drape that lends itself nicely to the front pleats and I do feel nice wearing it. If any of you follow me on Pinterest though, you've probably seen that the clothes I've been pinning of late are of a much simpler cut, and whilst I haven't done any real homemade wardrobe planning yet, I definitely see some simpler shapes and designs on the horizon. Anyway, hopefully this marks a return to my regular once per week slot, but if not, well don't worry... I'm probably off having fun somewhere or other. In these dark days of winter it seems that fresh, bright, spring-like days are few and far between. 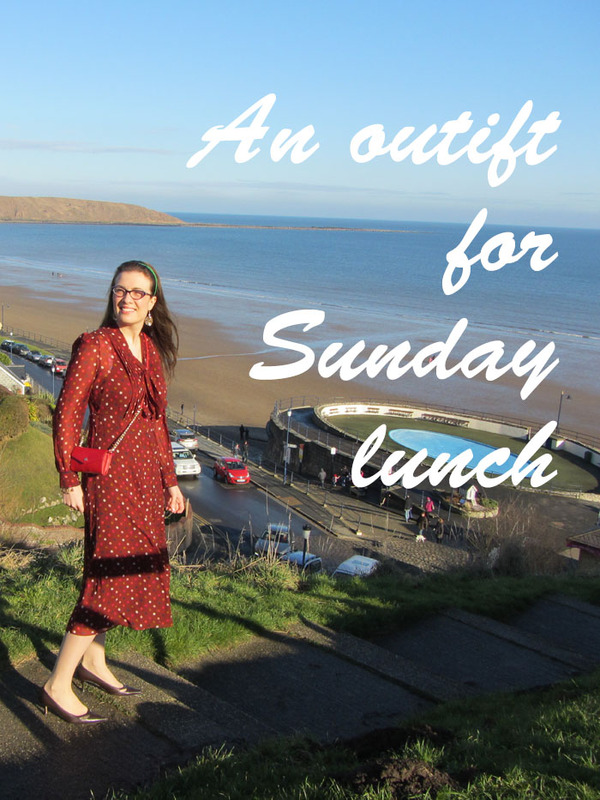 When they do arrive though, I can't help but start to think of all of the opportunities that are on their way for enjoyable lunches out; Mothering Sunday, Easter or just those sunny Sundays when you just don't want to cook. It's not like there needs to be an excuse. I've found an ideal venue for just such occasions. 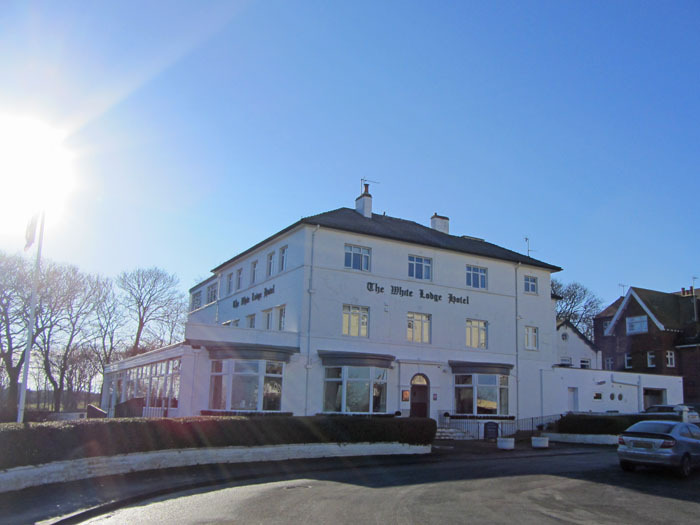 Standing proud on the beautiful Victorian Crescent in the quiet seaside town of Filey, the White Lodge Hotel holds an enviable position overlooking the sea. 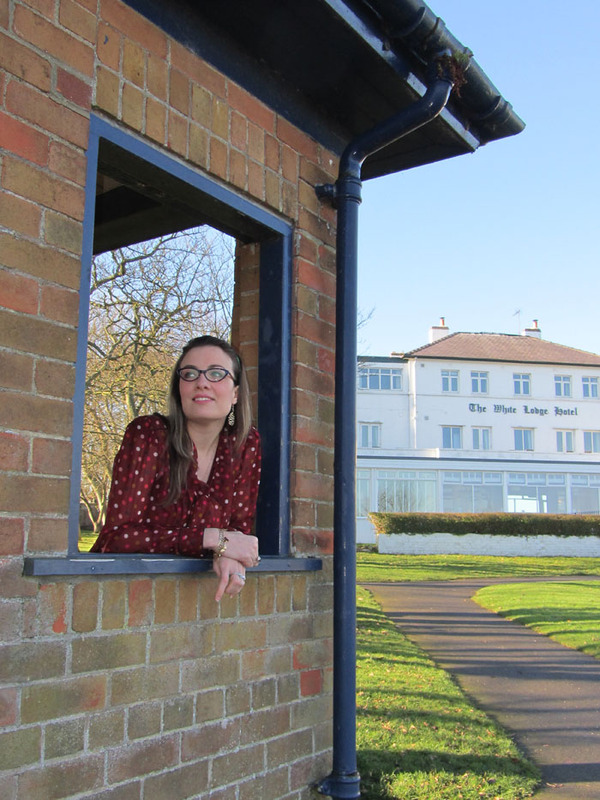 The hotel has made the most of this by positioning its' inviting and largely glass fronted restaurant to make the maximum benefit of the wide expansive views. 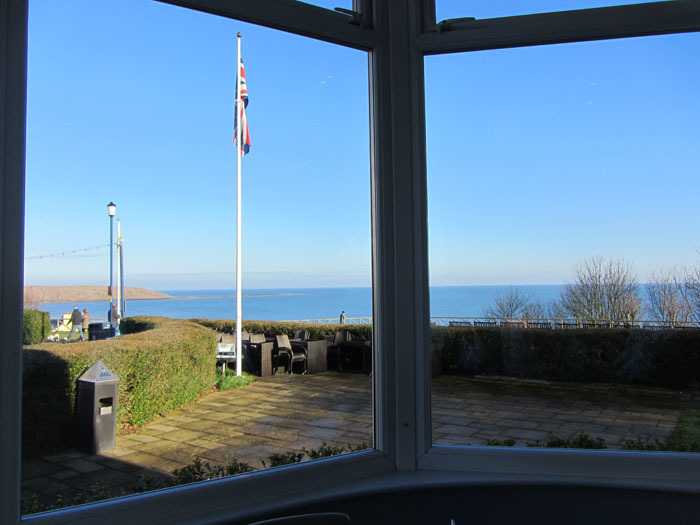 When we visited on Sunday and were shown to our seat at the front of the restaurant, I couldn't have been happier at the view I was set to enjoy over my Sunday lunch, not least because it was such a rare clear and sunny day. I must admit that, prior to my visit to the restaurant I was little bit concerned about the expanse of glass in the restaurant. 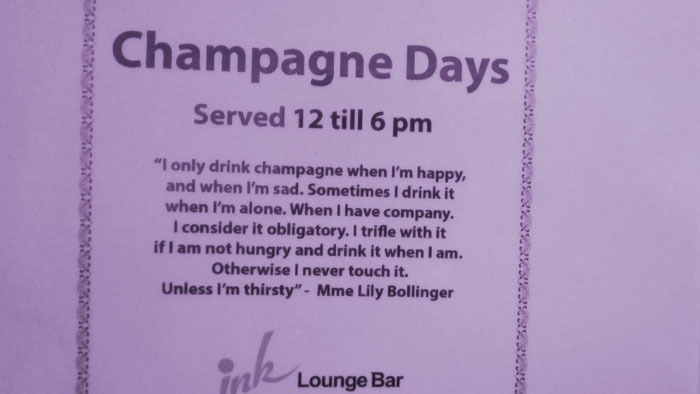 That's a strange statement, I know, but I have been to many glass fronted restaurants before and found that they are terribly chilly and that I spend the entire visit trying to stay warm. 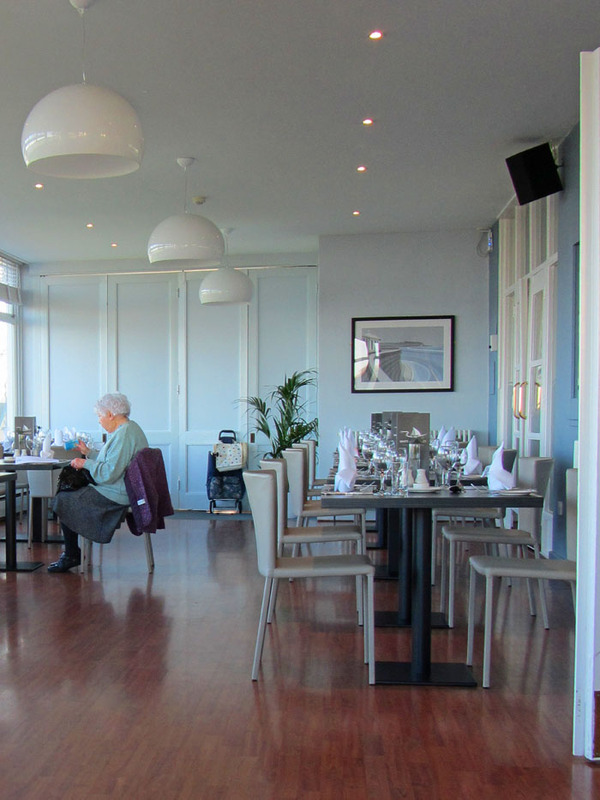 I need not have had any such concerns for The White Lodges' restaurant, it was perfectly cosy. Decorated in a modern neutral colour scheme, they have still managed to maintain a somewhat traditional feel to the hotel and restaurant, which to my mind is absolutely perfect and emanates a warm and yet up to date feel. The popularity of the restaurant locally was obvious since, shortly after we took our seats at 1pm, lots of other diners started to file in creating a lovely buzzing atmosphere. There's nothing worse than being the only diners in an empty restaurant. Looking at the menu, it was pretty easy to see what the attraction was. There is a great range for all tastes, including vegetarian and fish options, which can often be hard to come by on a Sunday lunch menu. Add to this the fact that all of the produce, including all of the fish, meat and poultry is sourced locally, and that a 3-course offering comes in at a reasonable £19.95 (with main only and 2-course options available too), it's hardly surprising that diners frequent this venue. We had the same starters, a lovely light carrot and orange soup. I'm sometimes wary of ordering soup as a starter; if it's made too thick and heavy then you end up full before your main course. 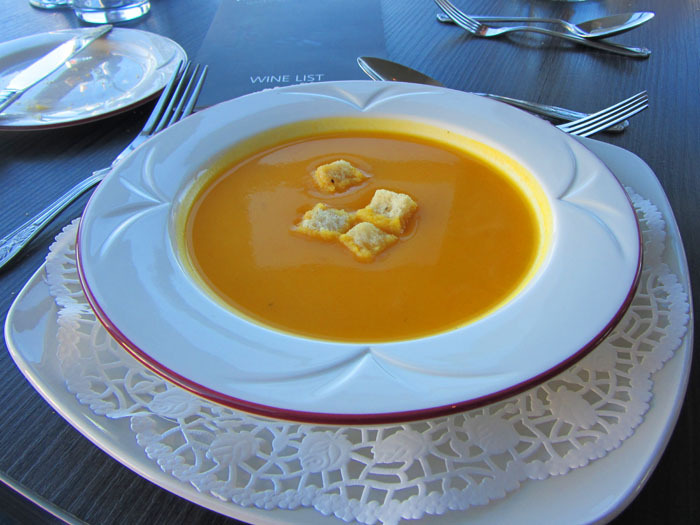 We had no such worries with this flavourful and light soup with the most delicious homemade croutons. The soup was perfect with a distinct taste of orange flowing through it, and whilst all of the other starter options sounded absolutely delicious, I was very pleased that I had opted for this beautiful light soup. 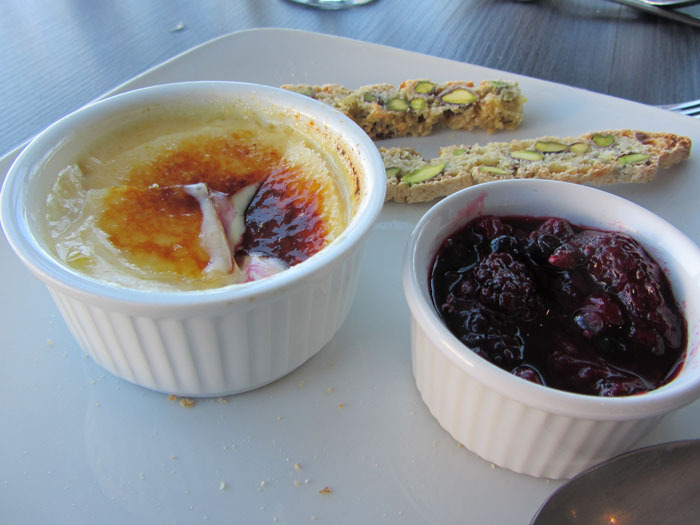 It wasn't too long before we were enjoying our main courses, and now seems an opportune time to mention the lovely service that we received at the restaurant too. The waitresses to our table were attentive without being intrusive, friendly, welcoming and accommodating. 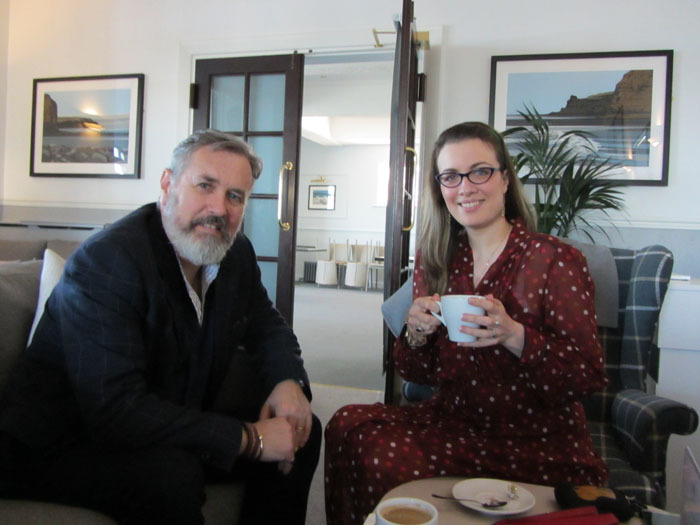 Part of the experience of eating out is always the quality of the service, and it was certainly one piece of a very pleasing jigsaw at The White Lodge. Back to those main courses. I'm trying to eat less meat in my diet, so I was thrilled to see a tasty and inviting fish option. 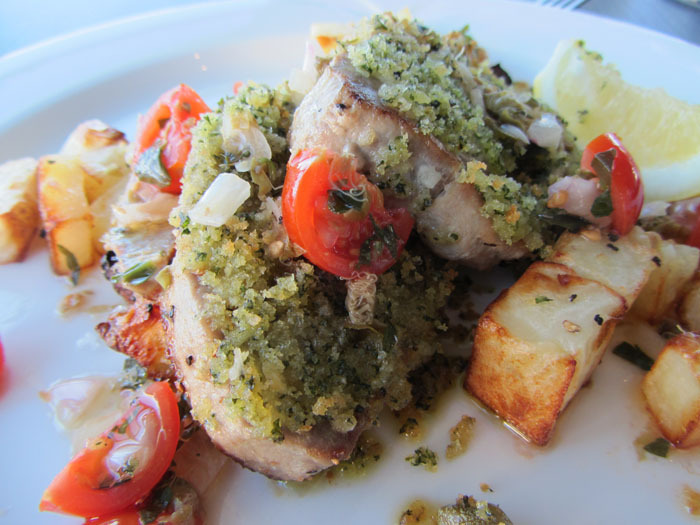 The herb crusted tuna steak with parmentier potatoes and sauce vierge certainly did not disappoint. The serving was most generous, the tuna was cooked to absolute perfection and the tastes, oh my word the tastes, that herb crust was an item of taste perfection, my mouth is watering just thinking about it. The vegetables, which came separately, were cooked perfectly and complimented the dish wonderfully. 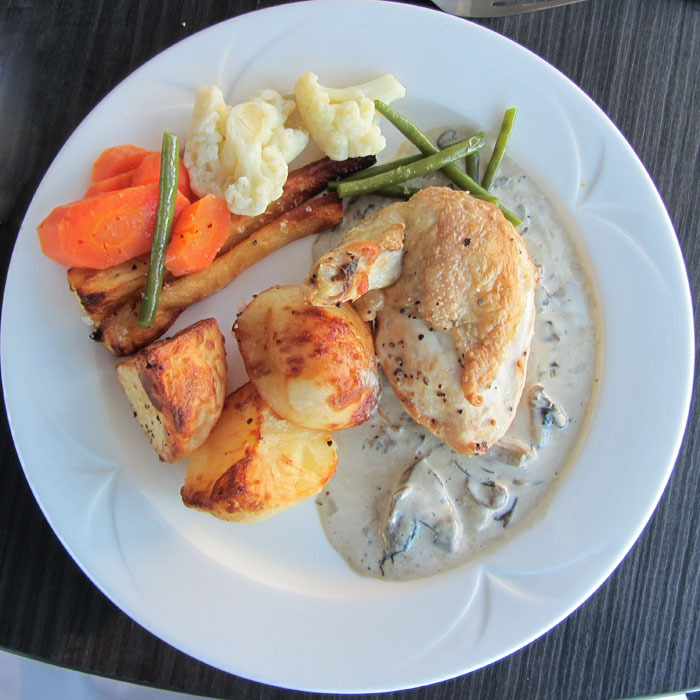 The Mr. ordered an oven roasted chicken supreme with a creamy mushroom sauce. I had a little taste, just in the interests of being able to tell you what it was like you understand, and again it was cooked to absolute perfection and looked sublime. 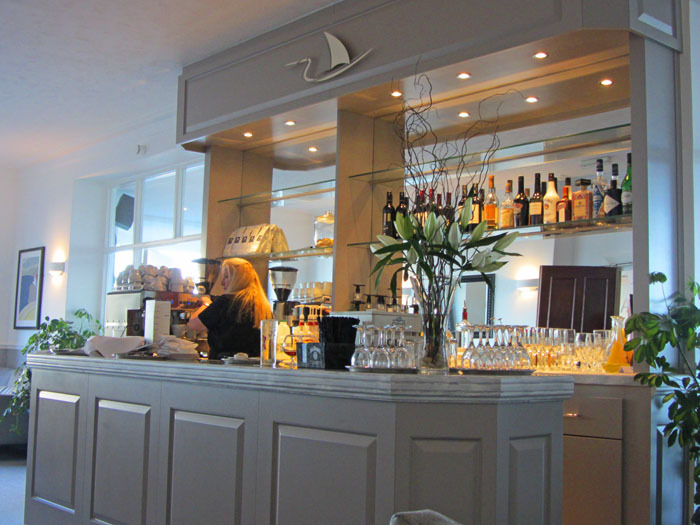 Finally, we retired to the comfortable bar area to enjoy a rich tasty coffee in the comfort of wing back chairs, before leaving for a wander around the nearby park to walk off some of the delicious food that we had enjoyed. 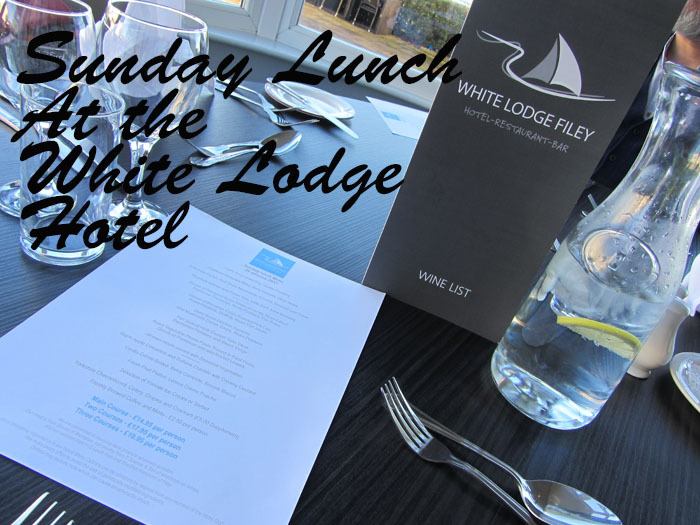 We had an absolutely lovely afternoon with perfect service, beautiful food and a stunning location and I would heartily recommend that you check out The White Lodge hotel as soon as you can. I don't do too many outfit posts. 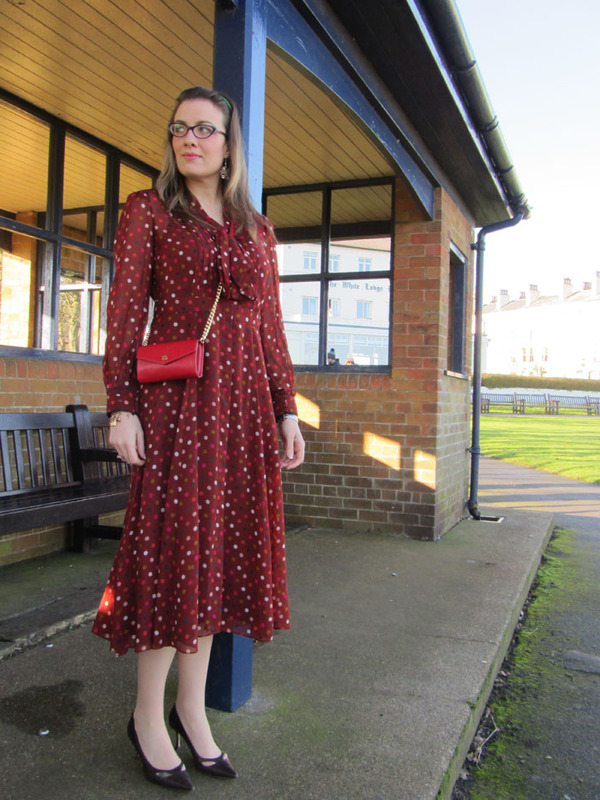 I think that I would like to do more this year, especially since one of my intentions at the start of the year was around style, and really getting back to that vintage look that I love. 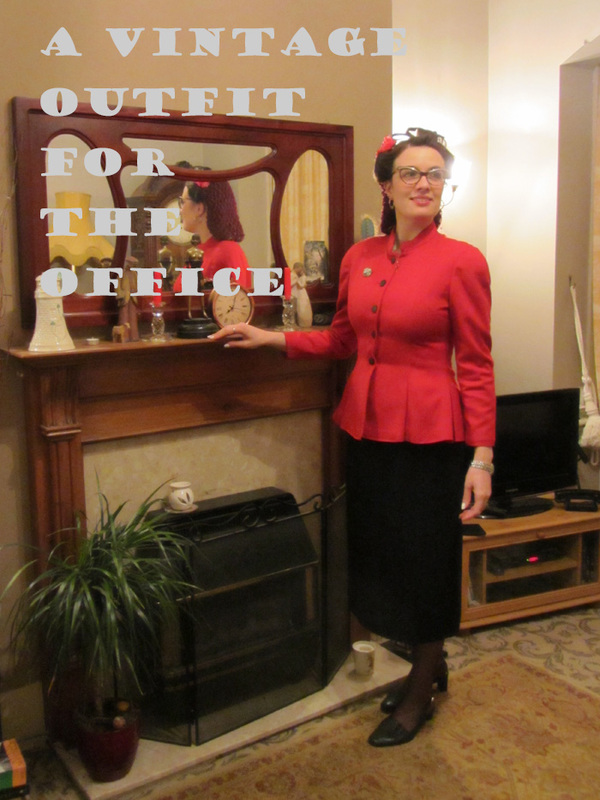 I thought the perfect start was an all out 1940s look that I wore to work during my first week back after Christmas. Back at the start of December, my friend and purveyor of exceptional vintage goods, Vix, sent me a surprise parcel in the post. You can't imagine my elation to open the package and find within the most beautiful red Travilla suit jacket. For those of you who don't know who Travilla was, he made all of Marilyn Monroe and Jane Russell's costumes for Gentlemen Prefer Blondes, as well as many of Marilyn's other clothes. 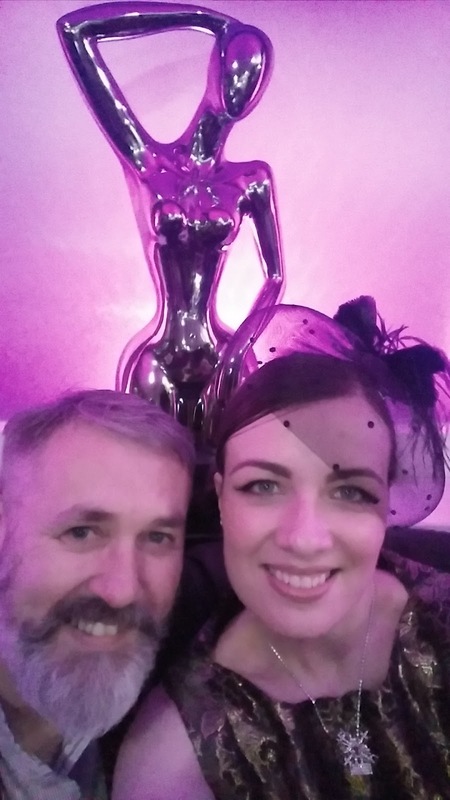 He was renowned for making clothes that embraced and accentuated the female form, and I've been obsessed (although never owned any) for some time. As soon as I tore open the packaging and saw what was inside, I didn't even have to think of an outfit to put together because all I could envisage was Jane Russell's outfit in these early scenes of Gentlemen Prefer Blondes, and I know that would be my inspiration. 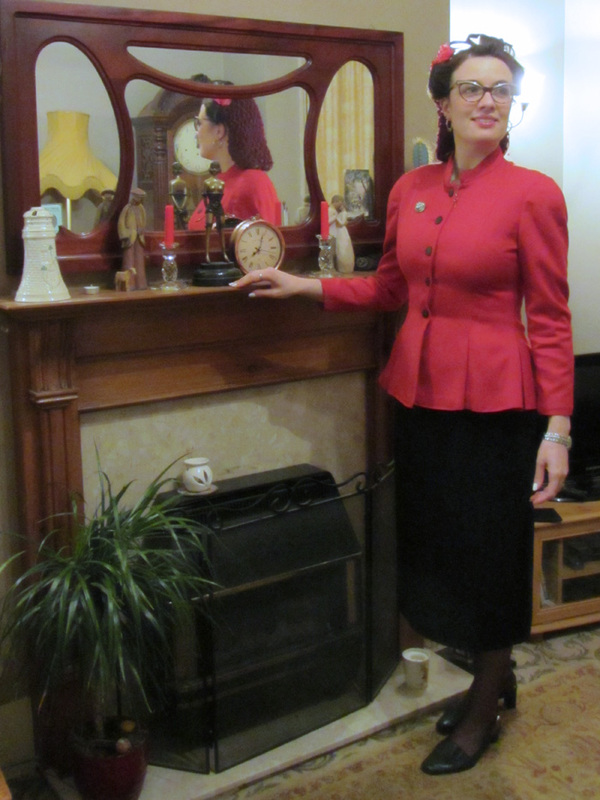 Pairing the jacket with a beautiful vintage skirt that the Mr. bought me for Christmas, and my trusty comfy Van Dal shoes, I think I had the look nailed. 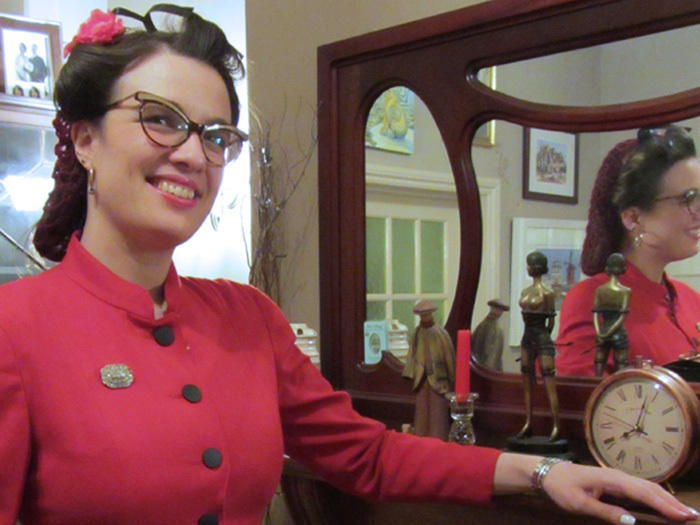 Never one to be lukewarm on the style I plump for, I decided to also experiment with some victory rolls, and the fantastic snood that I bought from Gin Poodle on Etsy. My hair is getting so long now, I love to find new ways to keep it out of my face and these snoods are the perfect option. 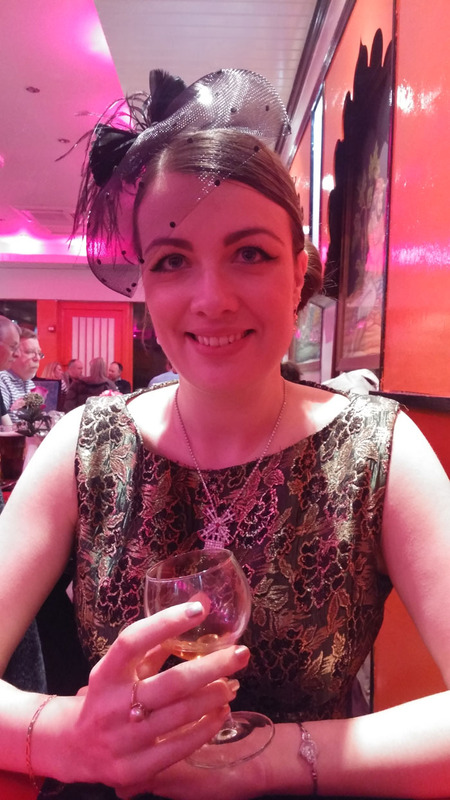 I admit, this was a bit of an all or nothing look for work, but I felt very smart, stylish and glamorous all in one and I have finally got the Jane Russell outfit that I've always craved.